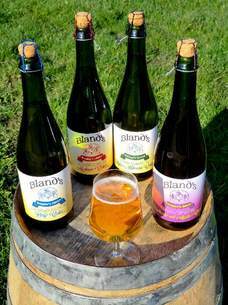 ​​Cidermakers from Gloucestershire, we make naturally sparkling ciders, perry pear cider, blush cider, fruit ciders, Templars Tipple & Fine Calvados on our normandy cider farm in the heart of Pays d'Auge. We use traditional cider apples etc from our orchards to make keeved, 100% juice ciders, no added sugars & only the natural yeasts. 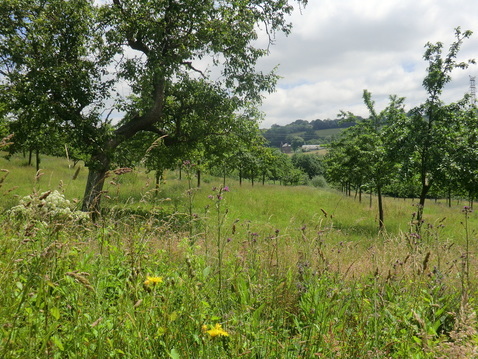 Our farm is situated on southern facing slopes in an area reknowned for cider and Calvados, we have 27 acres of cider apples trees and some perry pear trees, all AOC approved. 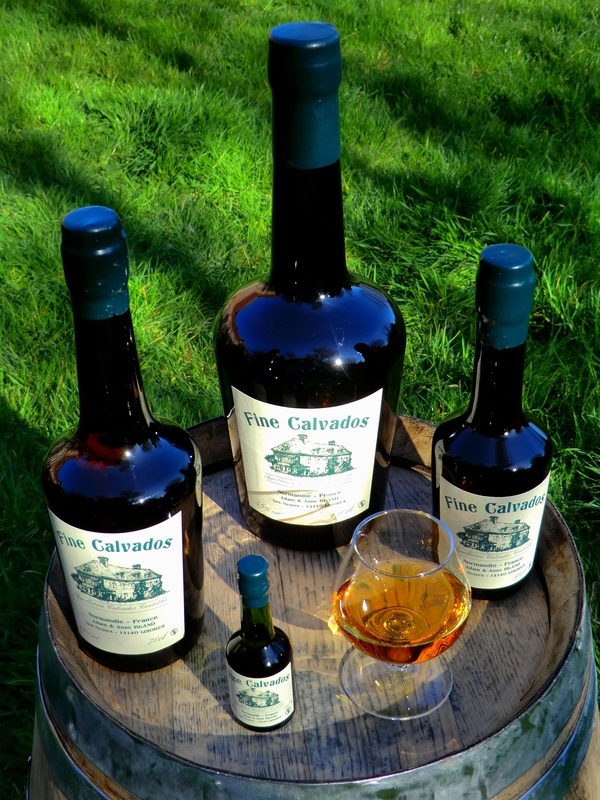 We're right next to the world famous parish of Camembert and Vimoutiers, the 'city of Calvados'. Adam is a master cidermaker and gives talks on the naturally sparkling method of cider production to British cidermaking associations. ​We have a strong Uk presence at shows and fairs throughout the Uk and have won several awards at the Royal Bath & West Show in the last few years. We export to NZ and are discussing pallet export to China. ​Our cider apples flourish on our well-drained south facing orchards. The apples trees are 100% traditional cider varieties, some of which are exclusively recommended for our small area, which is famous for producing a very aromatic and deep flavoured naturally sparkling cider and also excellent Calvados. 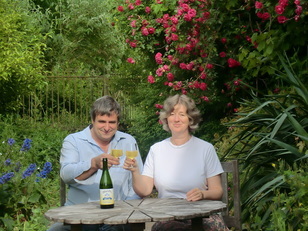 All our cider is sold in strengthened, corked and wired bottles, a technique developed in the 19th century when the arrival of the railway meant that empty champagne bottles from Paris could be brought down to Normandy by train and refilled with sparkling cider and sent back to Paris together with the world reknown cheeses, Calvados and other dairy products from Pays d'Auge. We have some wonderful varieties of cider apples including late ripening ones that we press around Christmastime. All our cider is keeved with the natural apple yeasts and then slowly fermented throughout the winter months. It is bottled in the Spring when a small, secondary fermentation takes place in the bottle to give a naturally sparkling cider. No sugar is added, the sweetness from the apples themselves determine the dry, medium or sweet taste of our cider. ​A fine, 18th century B&B room is available in our farmhouse and we also have a small campsite with facilities and electric hook-up. The campsite has lovely views over some of our orchards with the Pays d'Auge valley in the background.